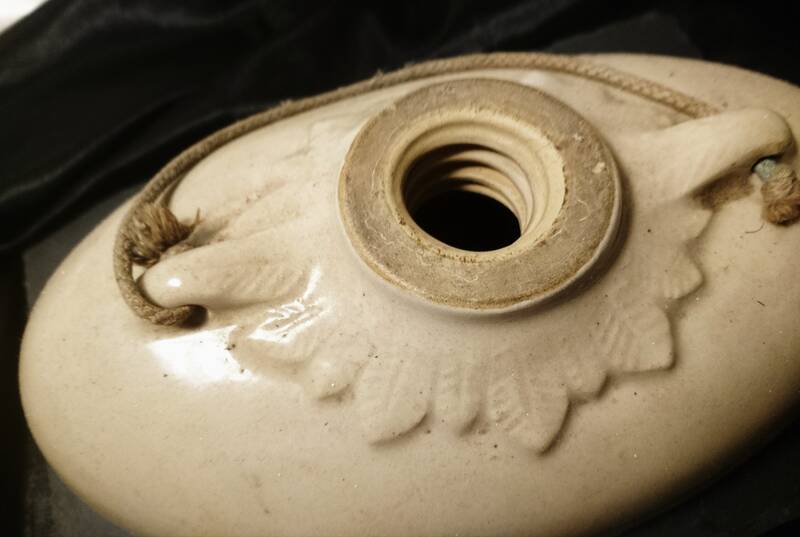 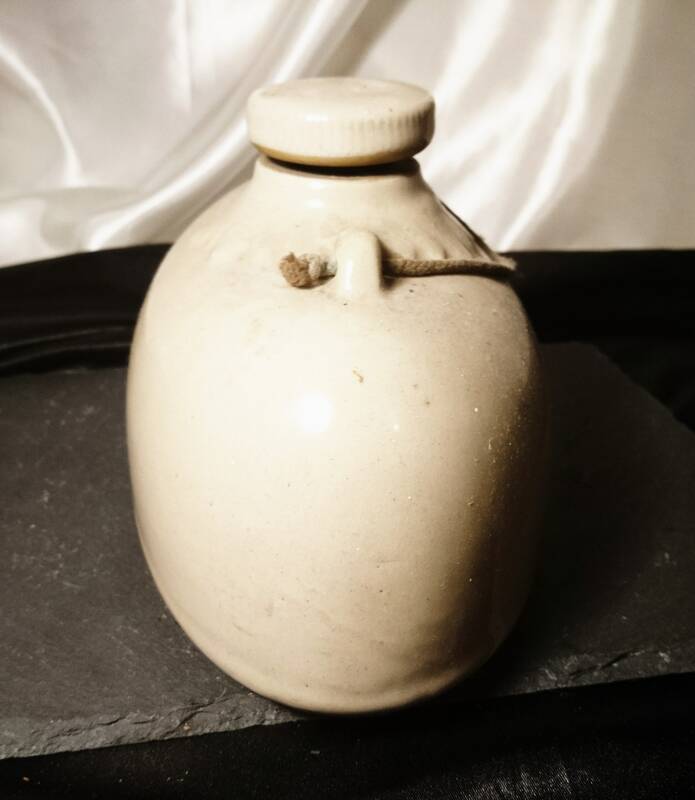 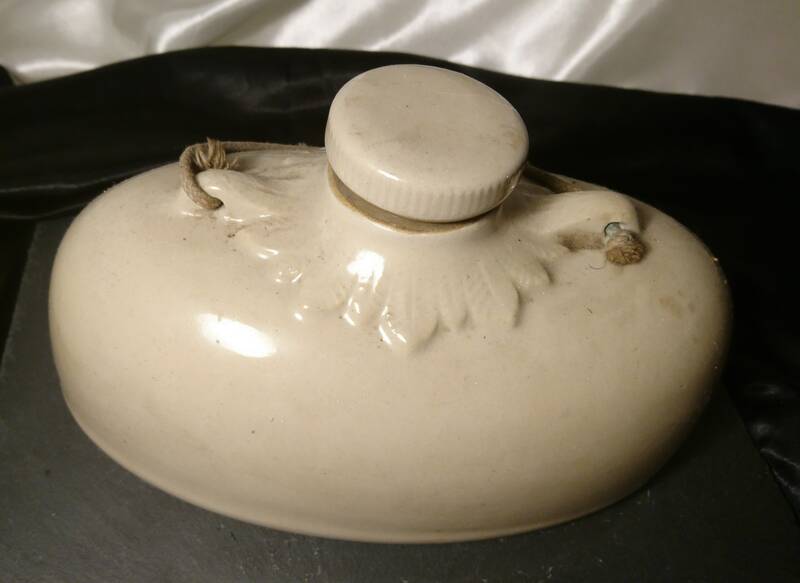 A lovely rustic antique Denby stoneware bed warmer / hot water bottle. 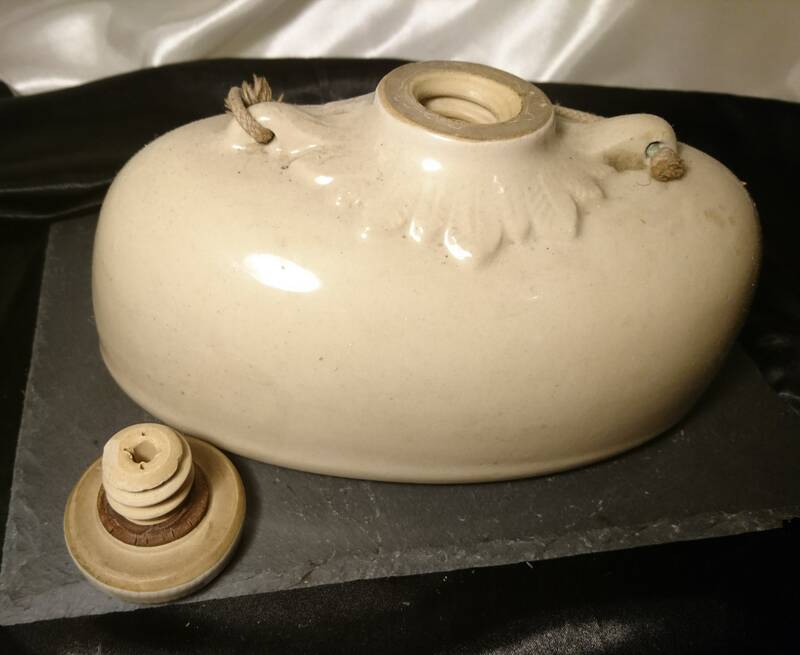 Made in England at the Denby potteries from thick glazed stoneware with the original screw top fitting and a decoration of acanthus leaves around the top. 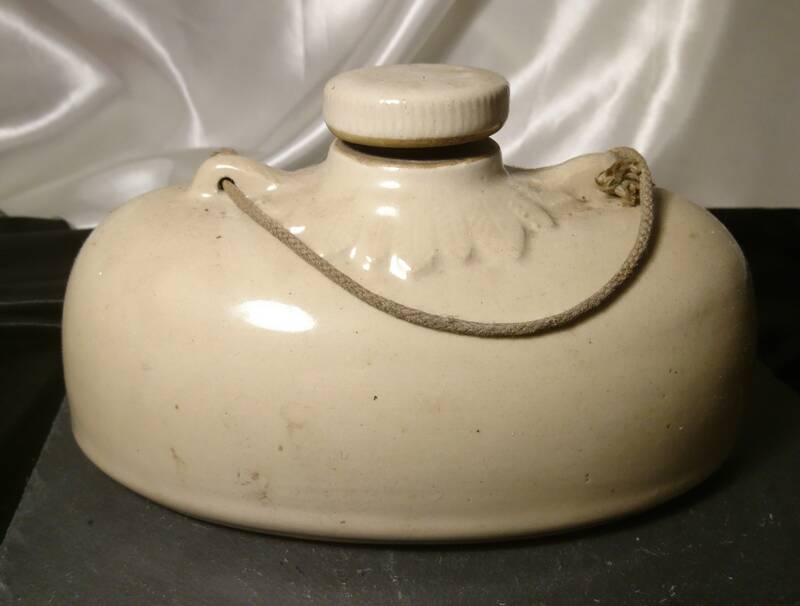 The screw top still works well and the rubber seal is intact however it has dried out. 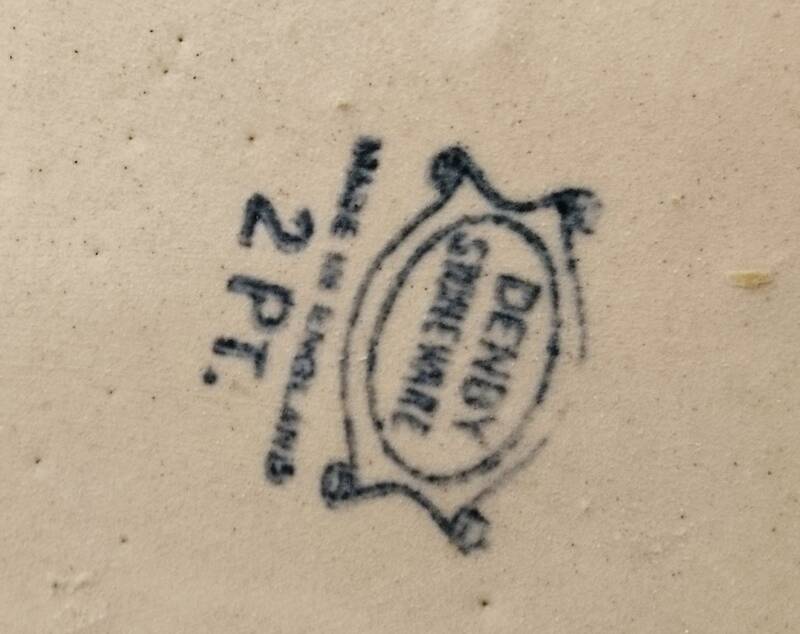 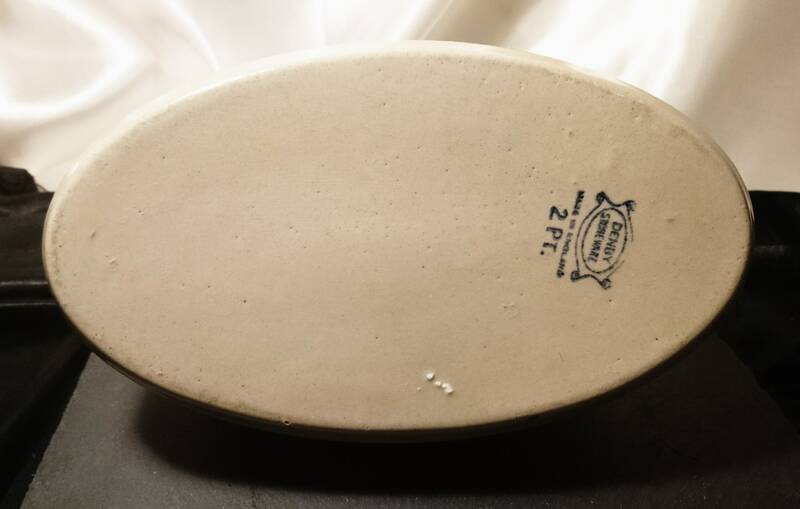 Marked on the underside with Denby Stoneware 2pt.